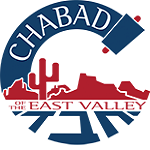 Chandler-Chabad of the East Valley will be teaming up with local youth groups to present to the community the Shofar Factory, Jews of all ages get the unique opportunity to participate in an hands-on workshop, hand-crafting their own Shofars, or ram's horns. The Shofar is perhaps the oldest wind instrument known to humankind. Consisting of a simple horn taken from a ram or similar animal (such as a kudu) and hollowed of its internal cartilage, when blown correctly, it produces a haunting, almost mystical tone. "The Shofar generates an otherworldly sound. It's very soulful, very stirring, and open to much interpretation," said Rabbi Mendy Deitsch, director of Chabad of the East Valley and coordinator of the Shofar Factory. 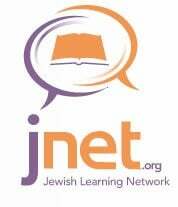 "Each individual hears something else in the Shofar's voice. It's no wonder the Shofar is blown on our holiest of days-it's very appropriate, very inspiring." According to Jewish history, the sound of a Shofar accompanied G‑d's giving of the Torah (the Bible) to the ancient Hebrews-the ancestors of Jews today-as they stood at the foot of Mount Sinai in the Middle Eastern wilderness. In addition, Jewish tradition has it that the Messianic Era, a time of world peace, will be ushered in with the sounding of a great Shofar. The Shofar is sounded in Jewish houses of worship on Rosh Hashanah, the Jewish New Year, and Yom Kippur, the Day of Atonement, for several reasons, not least among them its unique sound. "Chassidism teaches that the call of the Shofar is reminiscent of the pure voice of the soul," explained Rabbi Deitsch. "At Rosh Hashanah, the soul strives to touch the Divine. Also the various notes sounded with the Shofar remind one of weeping, which stirs one to better their ways, which is among the central themes of Rosh Hashanah (New year) and Yom Kippur (day of atonement)." Visitors to the Shofar Factory learn just what criteria an animal's horn must meet in order to qualify as a genuine Shofar, after which they saw, drill, sand, shellac and polish their very own horns. Visual aids such as large, full-color posters and diagrams and a colorful assortment of animal horns of all types and sizes, not to mention state-of-the-art shop equipment, all combine to provide participants with a singular program that is at once educational and exhilarating. The Chabad of the East Valley Shofar Factory will introduce youngsters (and the young at heart) to the fascinating world of the Shofar by traveling to Jewish schools throughout the greater area. "However," adds Rabbi Deitsch, "the climax of each group's visit is hear the Shofar blown at the end. For most, it's a totally new experience, something they've never heard before-it 'blows them away.' When I'm asked, 'What is it about the Shofar that is so hypnotizing?' I respond, 'It's the sound of the spirit.'"